What is childhood? In recent years, a cluster of critical and complex ideas have emerged around the nature of biological, social and psychological growth in the early years, reflecting the changing nature of adult - child relations, and political and cultural understandings of childhood in the twenty-first century. In this clear and concise book, Michael Wyness offers fresh insights into the current state of play within childhood studies. Drawing on work from a number of disciplines including sociology, geography and history, he discusses the contested terrain of theoretical and research advances with particular attention to the notion of children’s agency and the concept of global childhoods. Key conceptual debates are illustrated through a range of contemporary issues that affect children and adults, including inequality, child abuse, ill-health, child labour, sexualization and identity formation. This book will appeal to students and academics within the fields of sociology, education, geography, history and childhood studies. Michael Wyness is Associate Professor in Childhood Studies at the University of Warwick, and author of Childhood and Society, 2nd edition (2011). Focusing on children’s agency from multiple perspectives as well as globalization’s complex effects on children and childhood, Wyness provides a compelling and innovative contribution to childhood studies. The book is well written, well grounded in the relevant theoretical and substantive literature, and full of insightful and timely case studies. Wyness’s Childhood is a gem! 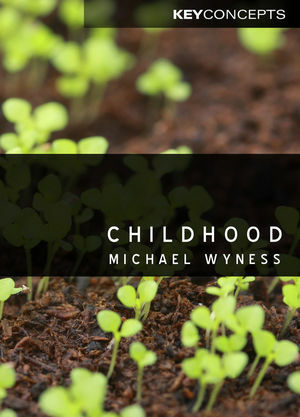 Michael Wyness has a deep understanding of all the key issues in the sociology of childhood and this shines through this short but illuminating introduction to the topic.